Dash cams fit securely to your car dashboard, ready to record your drive. They have a variety of uses, from recording scenic views to providing evidence in the event of a collision. 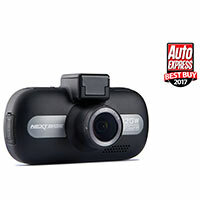 Get great dash cams from top brands including Nextbase at Euro Car Parts. Dashboard camera ownership has increased in the past few years due to their benefits in security and safety. Sat on the dashboard of your car, they record every detail that takes place on the road and inside the car. They’re an effective way to deter thieves, and in case of an accident they can help find fault and act as proof to show authorities what really happened. If you’re driving on a particularly beautiful stretch of road, in car dash cams will record the whole journey for you to enjoy later. What’s more, if you ever break down dash cams can also act as a GPS tracker for emergency services to come find you. 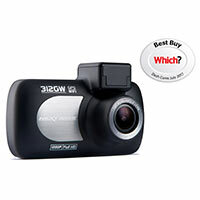 When searching for a dash cam, there are certain things to consider to ensure it will work effectively. You can get both front and rear dash cams, so you’ll need to decide whether you’d like just one, or both. Make sure you get a dash cam with a looping feature too, as this will automatically record over old footage you no longer need. Car cameras with added g-force sensors will also detect when you’ve been in an accident, intelligently storing that footage without looping over it. You'll also need to ensure the dash cam produces high quality video that works well even at night time. 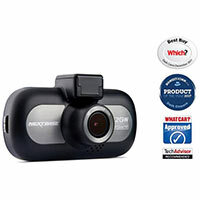 We recommend picking up a dash cam with 1080 pixels or higher. At Euro Car Parts, we stock a wide variety of dashboard cameras from the most trusted manufacturers at a competitive price. We offer free UK delivery, and you'll have 365 days to return your items if things aren't quite right. If you'd prefer, you can use our click and collect service too - just head into any of our 200 nationwide stores to pick it up at a time that suits you.